A new bar hole purger that features an integrated silencer to protect the operator and people nearby while searching for underground natural gas leaks is being introduced by Millibar, Inc. of Holliston, Massachusetts. 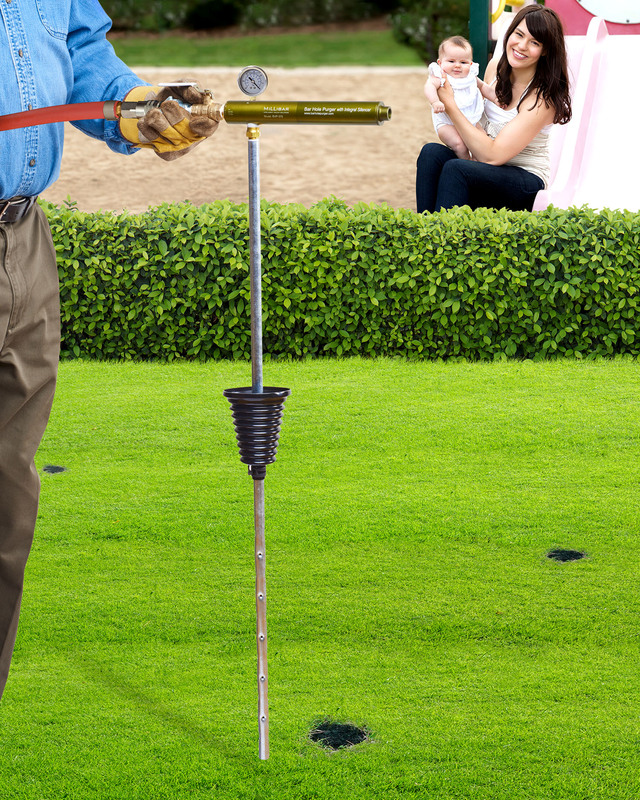 The Millibar BHP-375-G Bar Hole Purger provides an efficient and quiet way to search for underground natural gas leaks. Featuring a self-cleaning venturi vacuum pump and integrated silencer atop a 42” standpipe, it runs at a quiet 85 dB, pulls a 28” Hg vacuum, and is capable of evacuating 28 cu.ft./min. Operating on 80 psi compressed air, the Millibar BHP-375-G Bar Hole Purger has a twist claw coupling to a 1/2” air line, a 1/4 turn ball valve, a stainless steel vacuum gauge with a 2” dial face. This bar hole purger is much quieter than other models which typically exceed 120 dB.